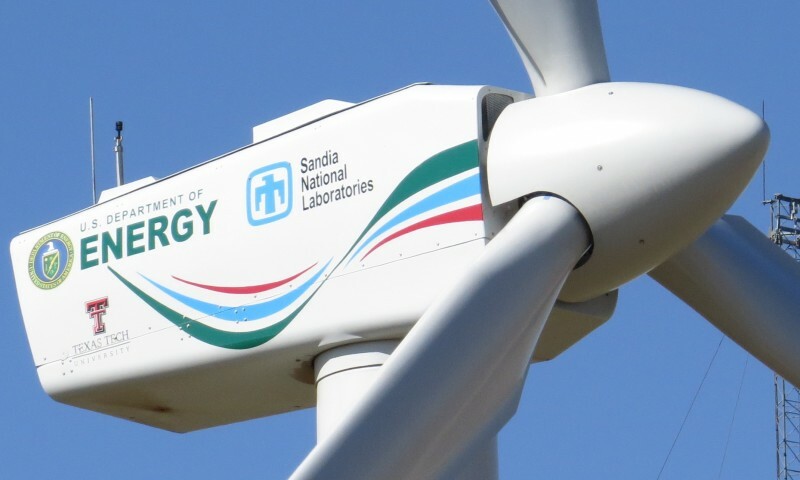 The Department of Energy’s Scaled Wind Farm Technology (SWiFT) Facility reached an exciting milestone with the return to power production of the WTGa1 turbine (aka DOE/SNL #1) as part of a final series of commissioning tests. WTGa1 will complete all commissioning before the end of May 2016 after satisfactorily operating in high wind conditions. Turbines WTGa2 and WTGb1 will complete commissioning over the summer months. All SWiFT experimental data will be made public so that industrial and academic partners can calibrate their simulation tools.